Our beautiful two bedroom, two bath condo, has ocean and mountain views from the Lanai and Haleakala Mountain views from the bedrooms. Master has a King-size bed with private bath, second bedroom two twin beds with bath. The condo has a fully-equipped kitchen with washer/dryer and a TV/DVD, Stereo/CD Player and free wireless WiFi. Kitchen family room all 1 large area for hanging out in and large Lanai to sit out on for meals,sunning, reading or playing a game of chess. The large lanai/balcony overlooks the ocean, and pool/tennis courts great for relaxing, eating meals,reading and taking in some sun. The grounds are beautifully landscaped with palm trees and Hawaiian flowers. Just bring your suitcase and everything else is provided for your enjoyment! We bought this condo because we love Maui. Its Paradise for us. This is our family business. Our family has been coming to Maui Sunset for 3 generations now. Our roots are in Illinois but dream of Maui and being there more. We love Kihei because we always have great weather and our family has been coming to Kihei Maui for over 40 years now. We love playing tennis and being by the beach and seeing the ocean while playing. Having the pool/hot tub to swim in yet see the ocean is a plus for us too. You can make reservations for activities at the pool which is easy and relaxing. The views from our Lanai are breath taking and our favorite place to spend time while in the condo. Everything has been updated in the unit from All Tile Floors, Corian surrounds in bathrooms and a state of the art kitchen. Seats 6, there is also Tables out on Lanai with chairs for Dining out on Lanai, 2 Chaise Loungers, side tables and a lamp. Racquets are available for rent but I would advise serious players bring your own. Pool, Hot Tub or Jacuzzi, Gas BBQ Grills, Putting Green, Herb Garden,Tennis courts, Shuffle board, Concierge at pool where you can make any reservations you desire in a relaxed laid back atmosphere. Loved our stay here. Maui Sunset has the best pool, great access to everything on Maui. This unit has a very big and functional kitchen. Had a little trouble with the internet -bounced out often. Had an issue with the tv but the owners had it fixed immediately. Very responsive. Would definitely book again. I’ve stayrd at Maui Sunset 7 times and this is a very good unit to book. It’s on the A side, so south facing a lot of sun. The 2 bedroom configuration is ideal for two couples or a family of four. One bedroom does have twin beds, but it was fine. Two bathrooms make it perfect for 4 people. This is really a good unit in the complex if Maui Sunset is right for you. The beach was not as rocky this visit for some reason, and our group did swim in the ocean here which we’ve never done in the past. Not sure why. Recommend this unit and property. Clean and well appointed. Glad you enjoyed your stay at the Maui Sunset, hope you come back again and remember us for future rentals. We book up quick in the winter so plan in advance!! Great unit! We will definitely come back to Maui Sunset again! We loved the unit! It had everything we needed! The views from the lanai was breathtaking! We saw whales everyday! 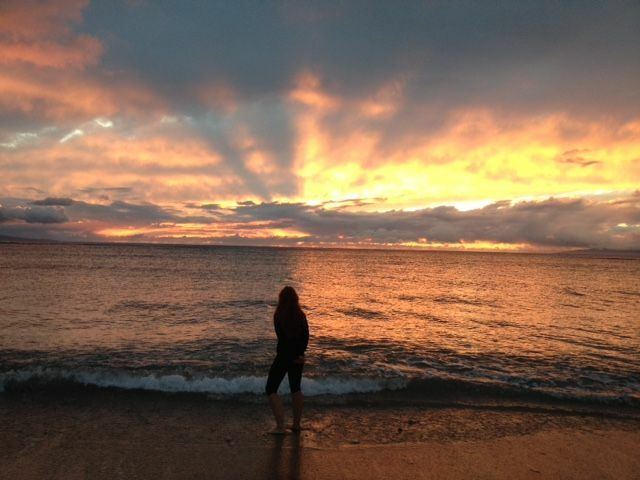 Glad you enjoyed your stay at the Maui Sunset we love it there too. Hope to host you again soon for your next trip back to Kihei Maui. Very nice condo and fantastic grounds! We recommend this place to anyone who is interested to enjoy a great experience In Kihei. Our family couldn't be happier with the oceanfront condo in Maui Sunset. The view was absolutely amazing - we were able to watch the sunset from the balcony every night! The inside was very well stocked and nicely decorated for our two week stay. We felt right at home with how clean and comfortable the inside of the unit was. We will definitely plan on using this unit again for our future trips! What a lovely experience! We enjoyed having you at our condo glad you enjoyed yourself the view is spectacular as well as the maui sunset complex . Hope you can come again soon . It’s a great place for people of all ages and centrally located on the island. Could have had a better prepared concierge. She was new and unprepared. Beautiful location and views and amenities! My husband, I and our twin 9-year-old daughters recently stayed in A219 Maui Sunset and had an absolutely wonderful visit. The condo itself was very clean, open and roomy, with a great kitchen. Inside, there was absolutely every thing there that a family or anyone could need, from books to boogie boards and snorkel gear; and outside... PARADISE! There is an enormous lanai that overlooks the pool, tennis courts, absolutely immaculate grounds and the ocean itself maybe 200 feet away!! The on-site concierge was very helpful coordinating any activities we could imagine, and the location was convenient to restaurants, cafes and grocery stores. This was an absolute dream vacation-spot, and we would be happy to recommend our stay here to family, friends and anyone looking for an out of this world Hawaiian getaway! Thank you for the compliments, it was a pleasure having you stay with us.